Some of the finest low level walking in The Park is through the patchwork of fields and farmland woodland. The land is less intensively managed than most other parts of the country and is the most important mainland breeding place in the UK for farmland waders such as lapwing and redshank. There are always common garden birds flitting around and the chance of seeing roe deer at dawn and dusk. The most spectacular time is in spring when the lapwings are displaying and the curlews are calling. 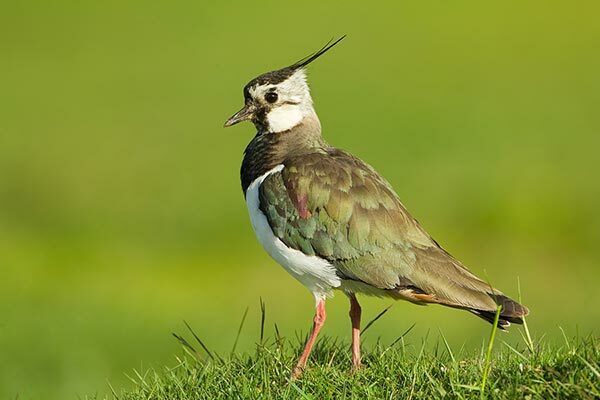 See the Springwatch clip below to hear the distinctive sound of the lapwing and see the challenges they face on a daily basis as they try to raise their chicks.